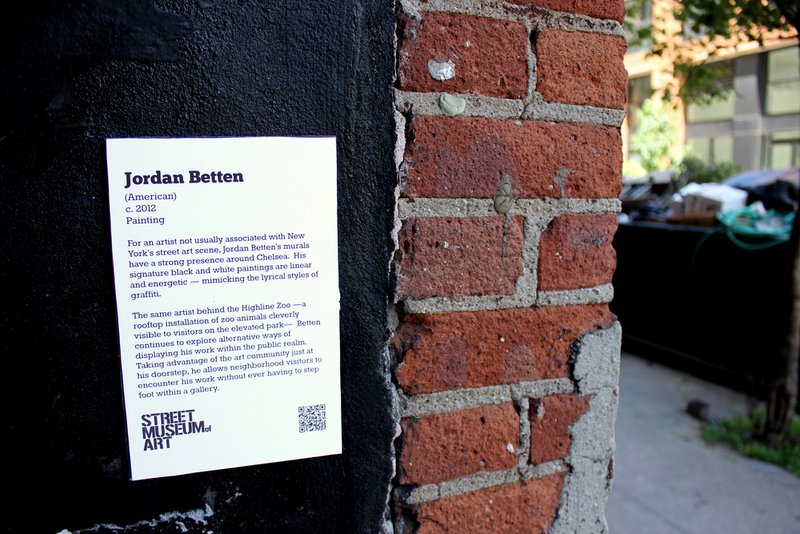 Jordan Betten is a New York City based artist who paints, draws, and works in fashion. His custom leather brand, Lost Art is created using hand made lacing techniques and includes clothing, accessories, motorcycles, instruments and guitar cases. Lost Art is regularly featured in such magazines as Paris Vogue, W and Rolling Stone. Betten is also a painter with his own unique style. Painting primarily on canvas and walls, his flowing line work bridges the world of fine art and urban art. The faces he paints are full of expression and individuality often connected together with his beautiful flowing line. 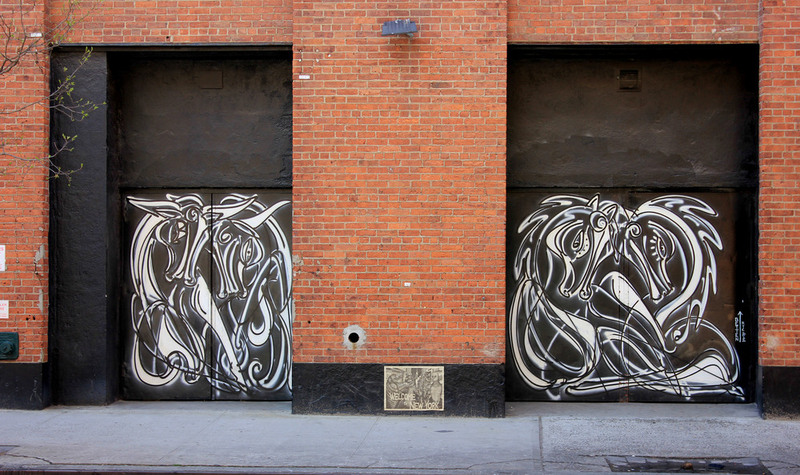 His murals adorn many NYC walls, a rooftop along The High Line and the roof of PS 51. Betten’s urban work also includes a sculpture garden of animals titled The High Line Zoo. His pieces have been exhibited at The Metropolitan Museum of Art : Costume Institute and The Victoria & Albert Museum in London. Any photos not taken by The Street Museum of Art were provided by the artist themselves. Please contact info@streetmuseumofart.org for image credits.